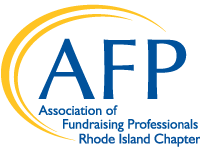 AFP-RI posts job opportunities to advance the careers of fundraising professionals and help nonprofit organizations find qualified staff with highly sought-after skills. In addition to listing the position on our website, we send a weekly reminder highlighting the latest available career opportunities. Postings must be related to fundraising or nonprofit management. Postings must include information on how to apply for the position. The AFP-RI Board reserves the right to decline a job posting if they do not deem it to be appropriate for our membership. Please contact the AFP-RI office via email at info@afpri.org and submit either a Word document or a PDF file the week prior to when you would like the job posted to our website. If you are not currently a member of the RI Chapter of AFP, AFP-RI will send you an invoice for $75 for each job posting, payable within 30 days. An email with new job postings is typically sent on Thursdays. Thank You!